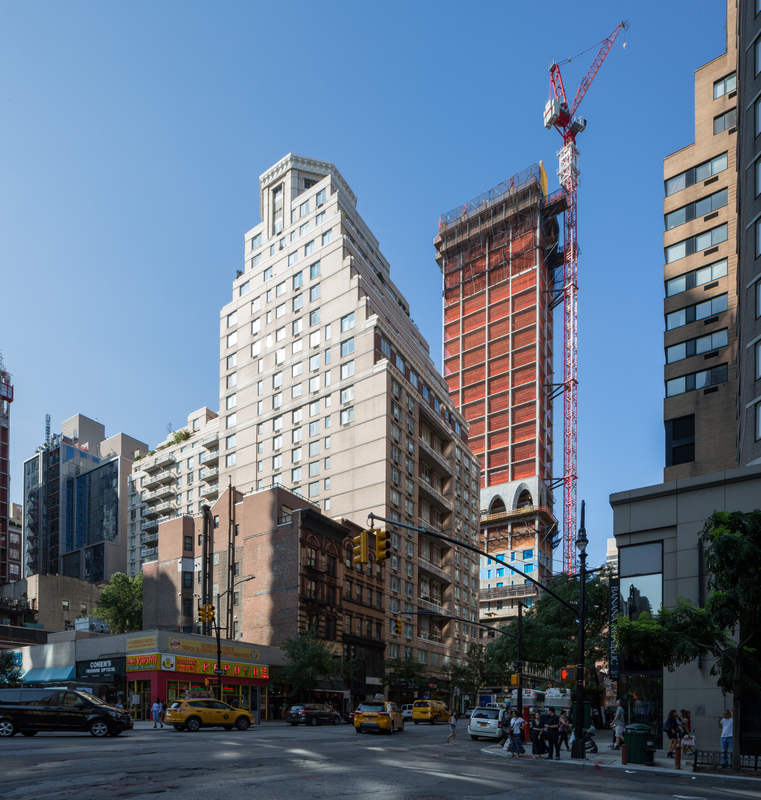 Rising now at 180 East 88th Street is the soon-to-be tallest tower on the Upper East Side above 72nd Street. 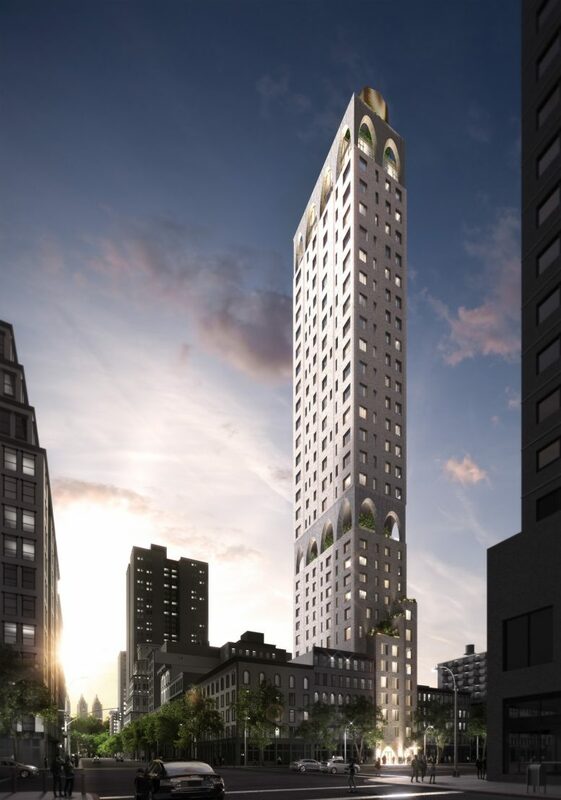 The 31-story residential building is being developed and designed by DDG, with aesthetic inspiration derived from renowned Spanish architect Antoni Gaudi. 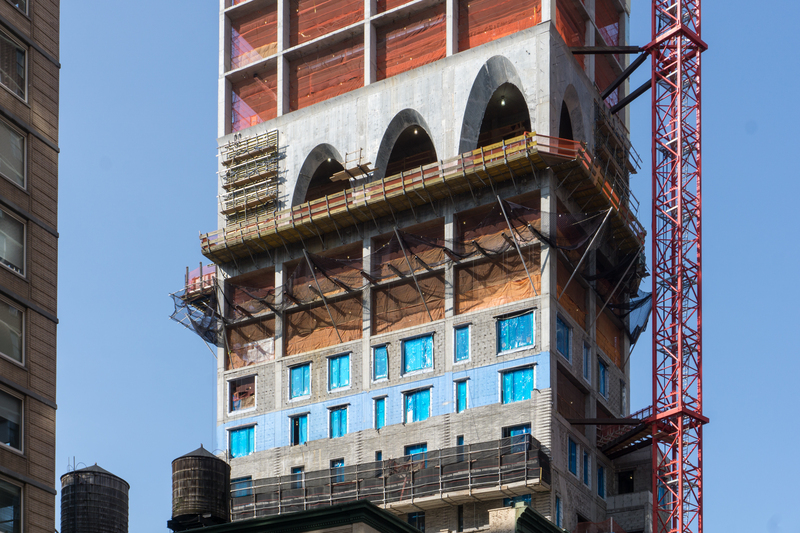 The structure has reached its 28th floor, leaving three stories remaining before topping-out occurs. HTO Architects is listed as the architect of record, though DDG’s in-house design group is heading the architectural design. The façade will be decorated with Kolumba bricks, a distinctive gray masonry produced by the Denmark-based firm, Petersen Tegl. Portions of the façade are now visible on the southern façade. Also new to the structure now are the two-story arches for the mid-building outdoor terrace. 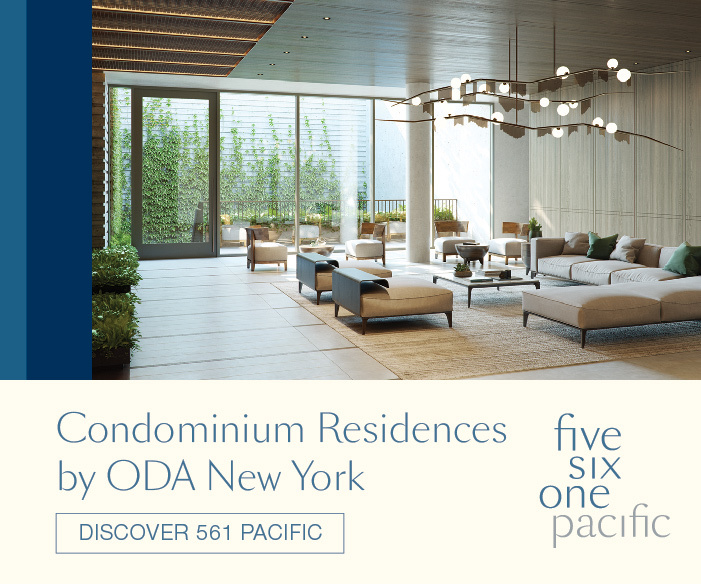 The building will yield nearly 130,000 square feet for residential use, as well as 1,100 square feet for commercial use, and 52,200 square feet for a community facility to occupy the lower floors. 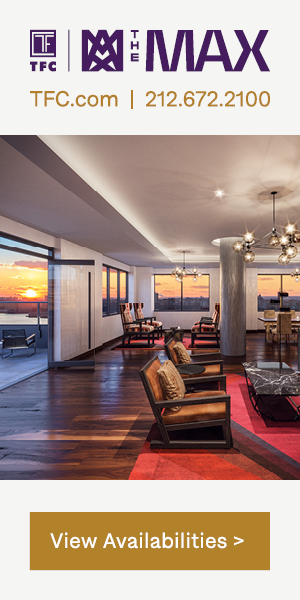 48 condominiums will be created, averaging more than 2,700 square feet apiece. 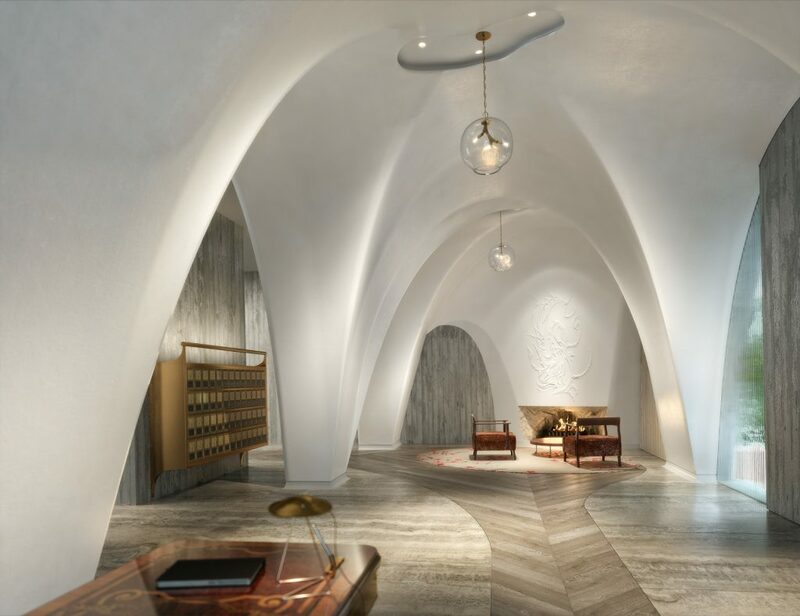 The building’s top arches will be part of a full-floor penthouse unit. 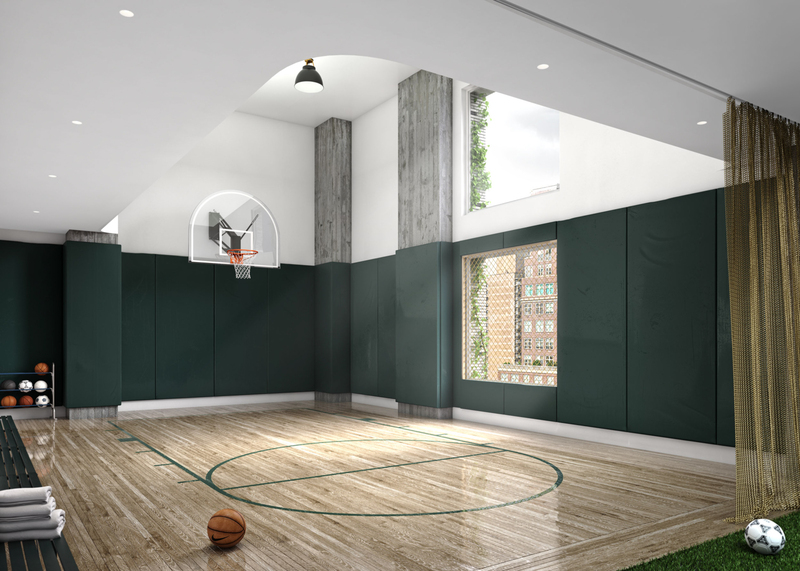 Amenities in the building will span over eight floors, including an indoor soccer pitch, partial basketball court, children’s playroom, fitness center, lounges, and tenant wine storage. Earlier this year, YIMBY spoke with CEO Joe McMillan of DDG. 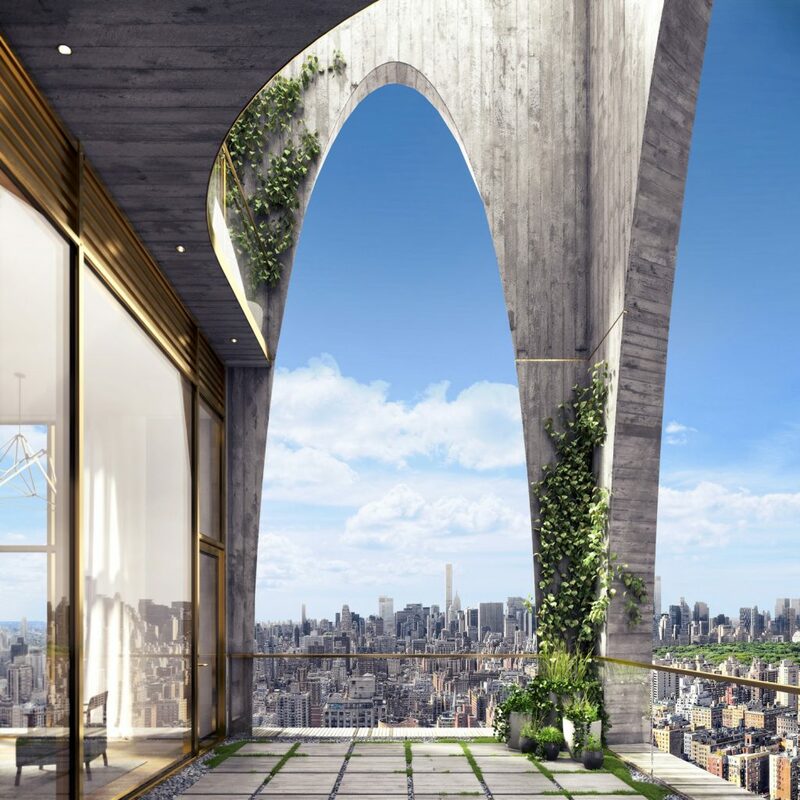 He spoke to the controversy surrounding the tall development, which has been unfairly accused of distorting NYC’s zoning rules. As with each of our projects, we always listen to constituent concerns and endeavor to understand all points of view. 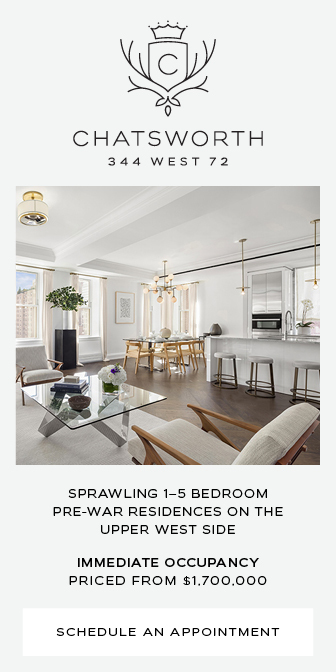 Throughout the entirety of the development process 180 East 88th has received all required approvals from the New York City Department of Buildings and is in full compliance with all zoning regulations. 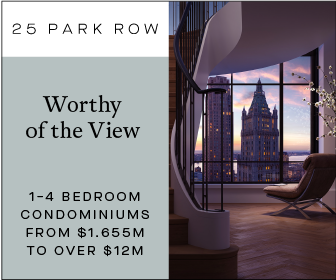 We are proud of the building we are developing and believe we are bringing an architecturally distinctive building to the Upper East Side that will enhance the City’s beautiful and ever-evolving skyline. The attacks by local residents led to a halt in construction and a review by the Department of Buildings. Much to the chagrin of the opposition, the review discovered that the building should be a few feet taller than initially planned. 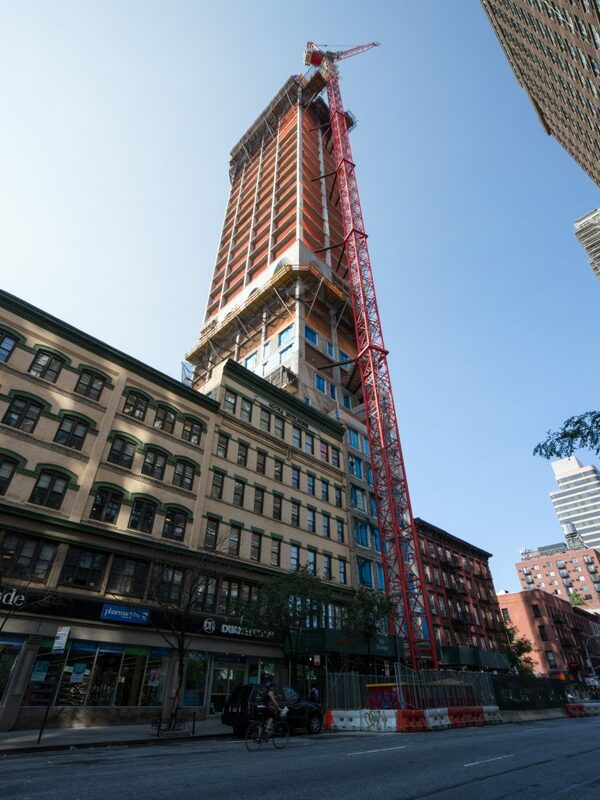 The building will soon top out at 523 feet. Completion is expected by 2019. 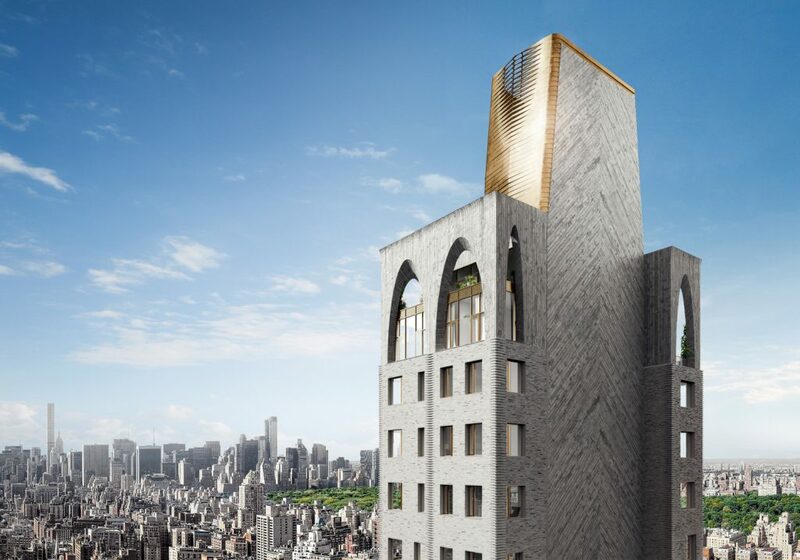 5 Comments on "DDG’s 180 East 88th Street Gets Gaudi-Esque As Arches Appear And Topping-Out Nears on The Upper East Side"
Sticks out like a sore thumb, with arches. The lobby is intriguing though. Reminds me of 1964-65 World’s Fair architectural efforts. For all the controversy, this building looks a lot prettier than some of the other non-descript high-rises on third. I get it, to avoid being constrained by limitations on height of mid-block buildings on 88th street, they created a separate lot for the entrance so they could keep all of the 3rd avenue side for retail. It’s amazing how many of those decrying the building of new high rises seem to occupy high rises with impacted views. It saddens me that the local politicians seem to side with the noisy nimbys. Look, this city should have finished the entire second avenue subway by now, but the fault is with the politicians for not putting money into infrastructure projects with timelines longer than their term limit. Just to clarify: “Antoni Gaudí i Cornet” was a Catalan arquitect, not a Spanish one. The fact that Catalonia became a Spanish colony after it lost the War of Spanish Succession doesn’t mean that that Catalonia has ceased to be a distinct nation (albeit under foreign occupation). 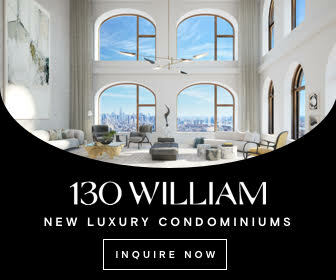 so unhappy that this building has taken rise… forever changing the neighborhood and historic preservation of east 88th and third Ave and whole of Manhattan. It is an ugly building, what else can be said. We tried and lost to corrupt city politicians who value the mighty dollar over integrity of the neighborhood and people who live and work here.